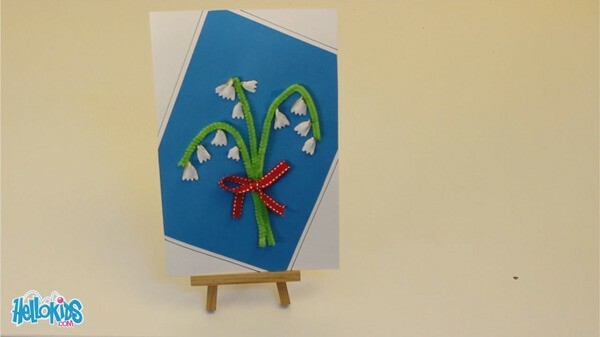 In this tutorial, we want to show you how to make a very nice Lily of the Valley card. Creating this card you will paint, cut and be creative. Lots of fun for sure! The Lily of the Valley grows when Spring comes, and in France, people present loved ones with bunches of Lily of the Valley on the first day of May. First, paint the pasta white. Make sure to protect the table and your clothes. While the pasta is drying, make the card. 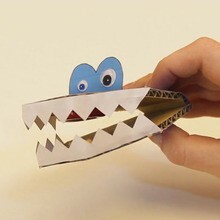 Fold the white card stock into half and cut the blue sheet of paper into half too. 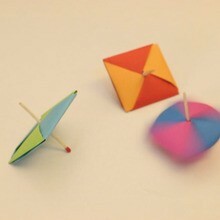 Glue it to the card stock at an angle and cut off what exceeds. With the ruler and the felt-tip, draw lines around the blue sheet of paper. Cut up three pieces of pipe cleaner, bend them like the stem of the lily of the valley and glue them to the blue sheet of paper. Now that the pasta is dry, break them into four, starting lengthwise. Glue the pieces of pasta along the pipe cleaner. Glue a nice bow on the stems like if they were tied together. 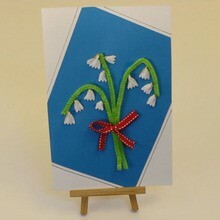 Now you're done, you made this very nice card of beautiful flowers to offer your family and friends. Don't forget to write something inside the card!